NEW EcoLine for fresh water swimming pools – gentle on people and property. It’s now possible to enjoy all the benefits of fresh water* swimming at home and be confident that pool water is safe thanks to Australian Innovative Systems’ (AIS) new, premium EcoLine™ chlorine generator for fresh water swimming pools. After seven years in the making and using the same, multi-award winning technology that is already operating in luxury resorts, water parks and FINA standard competition pools worldwide, AIS now brings the benefits of EcoLine to the home pool owner. EcoLine creates a swimming environment that is gentler on people and on property, when compared to standard chlorine or salt water pools. AIS CEO Elena Gosse explains. “We know that the demand for fresh water swimming pools is growing worldwide. “Many families, particularly those with young children are looking for a balance between minimising their access and exposure to harsh chemicals such as liquid chlorine, and knowing that their pool water is safe and clean. Then there’s those who simply want an alternative to the traditional salt water pool. “With EcoLine, pool water is less salty and therefore more gentle on swimmers’ skin and hair, surrounding property and pool equipment. It feels like you are swimming in fresh water, yet you can remain confident in the knowledge that you are protected from nasties like waterborne pathogens and bacteria,” Elena said. EcoLine is compatible with natural stone pool surrounds with maintenance also reduced due to less salt corrosion on metal fences, fittings and other pool equipment. The secret to EcoLine’s success is AIS’s revolutionary technology that safely and conveniently disinfects water at TDS (Total Dissolved Solids) levels as low as 1,200ppm, when compared to approximately 5,000+ppm in a traditional salt water pool. With one of the highest Ingress Protection ratings (IP56) available, EcoLine resists weather, insect infestation, dust and corrosion yet its contemporary design complements even the most sophisticated outdoor or indoor pool décor. Elena warned that it was a case of “buyer beware” when it came to claims about available fresh water disinfection technology. “Not all fresh water swimming pool disinfection systems are created equal, in fact we believe that some could be putting swimmers’ health at risk due to inadequate levels of chlorine output. “Then there’s some kinds of ‘chlorine free pools’ which are not chlorine free at all. “The fact is that most water disinfection technology requires some form of residual chlorine level to keep water safe and meet health department guidelines. “A swimming pool is a big investment. At AIS we think it’s important for people to be properly informed so that they can ask questions and make the right decision about water disinfection for their pool,” Elena said. AIS expects its new EcoLine to revolutionise the home pool industry, so much so that the company recently expanded its Brisbane based production facilities to meet anticipated demand. For EcoLine stockists contact AIS on 1300 965 222 (Australia wide) or +61 7 3396 5222. Please see new EcoLine brochure for more details. AIS EcoLine technology selected for competition pools for KL2017. Australian designed and manufactured water disinfection technology will help to protect swimmers competing at KL 2017 (Kuala Lumpur 29th Southeast Asian Games), Malaysia in August 2017. 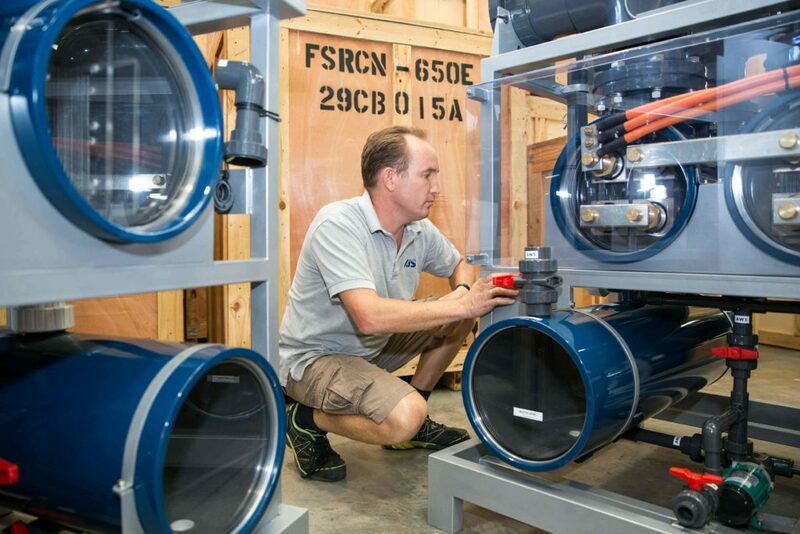 This month (March), Brisbane based chlorine generator manufacturer, Australian Innovative Systems (AIS) shipped three of its award-winning EcoLine™ water disinfection systems to Kuala Lumpur to be installed in the FINA standard, competition swimming pools at the Malaysia National Aquatic Centre. In a double Brisbane win, specialist aquatic architect, Will Marcus, Group Managing Director of ARGO Architects specified AIS’s technology for the project. AIS CEO, Elena Gosse said that her company’s EcoLine technology would ensure that Games officials and athletes could enjoy ultimate peace of mind, safe in the knowledge that the pools’ residual chlorine levels were being maintained, with water remaining clean and clear in accordance with world-wide competition standards. A major advantage of EcoLine is that it works in water with TDS (Total Dissolved Solids) levels as low as 1,200ppm (parts per million) creating a swimming experience and quality of water that feels, smells and tastes more like a fresh water swimming pool. Thanks to EcoLine’s automatic chlorine production, chlorine levels remain stable, helping to avoid incidents such as the recent ‘green pool’ at the Rio Olympics. “Our innovative, EcoLine technology is not only safe and reliable but ends the outdated practice of storing and dosing liquid chlorine,” Ms Gosse said. Ms Gosse said that while the Malaysia National Aquatic Centre had entrusted AIS’ technology for its games, she hoped Queensland’s Gold Coast Aquatic Centre (GCAC), the venue for the upcoming Gold Coast 2018 Commonwealth Games, would soon follow suit. “Unfortunately, GCAC’s competition pools for the 2018 Commonwealth Games are still being disinfected by a foreign-manufactured, liquid chlorine dosing system, Elena said. “This is an archaic approach on many levels. As well as the risks associated with storing and handling large quantities of liquid chlorine, I strongly believe that all levels of government should be actively supporting innovative, Australian-made technology and manufacturing. In turn, this supports local jobs and our economy. “While the GCAC does have AIS’ systems installed in its non-competition pools, the fact that our technology has been exported to over 55 countries worldwide, is widely used in competition-standard pools throughout Australia and overseas, and yet is not being used for the Commonwealth Games is quite frankly, embarrassing. Elena said that another major advantage of EcoLine’s automatic inline disinfection (as opposed to chlorine dosing systems) is that water hardness and/or TDS (Total Dissolved Solids) levels are kept more stable, therefore minimising the requirement to dump large amounts of water from swimming pools. “With chlorine dosing systems, by-products such as calcium and sodium chloride can build up very quickly in the water and cause problems with water chemistry, especially water hardness. The only way to bring these levels back to a suitable standard is to dilute or dump water. “We are aware that in some cases pool operators are intentionally adjusting their pool’s wastewater or backwash valve to continually and gradually lose pool water in an effort to keep TDS levels stable. This makes it almost impossible to detect the large volumes of water being dumped and is obviously of great concern environmentally. AIS will soon be launching a domestic version of its EcoLine commercial technology. It will be available for purchase for home pool owners from AIS distributors in April 2017. The Minority Report: Women Who Work in a Man’s World. Thanks to Smith’s Lawyers for sharing the stories of AIS CEO, Elena Gosse and other successful women working in male dominated industries. 8 March, International Women’s Day. 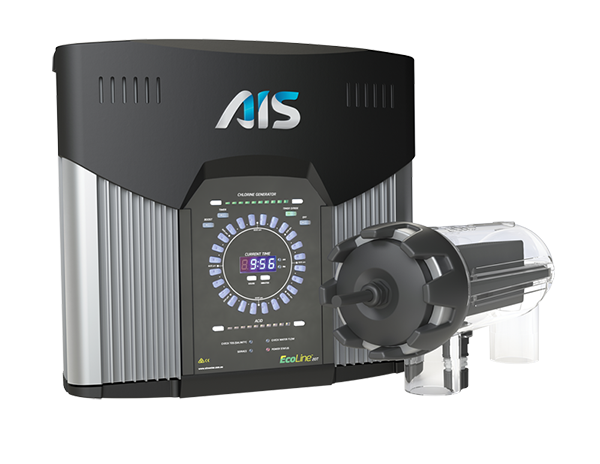 I am the proud owner and CEO of Australian Innovative Systems (AIS), a company that designs and manufactures water disinfection technology and chlorine generators for commercial and residential swimming pools. The water disinfection industry is a traditionally male dominated one but I’m changing that, one woman at a time! I have worked hard to be recognised for my contribution to the company and our industry. 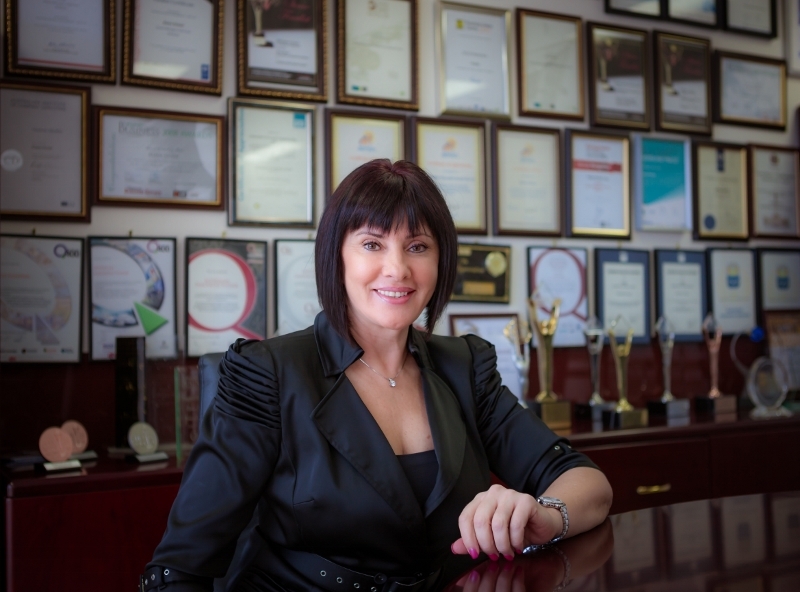 I first arrived in Australia as a university educated Russian immigrant who previously worked in the entertainment industry. After my husband and I bought AIS, I immediately saw opportunities to grow the business however my limited English language skills and technical knowledge about the business meant that it was difficult to put them into action. I decided to embark on further studies, learning advanced English, gaining a Diploma in Business at TAFE and then a Bachelor of Business (Accounting) at QUT. I then immersed myself in understanding the science of water disinfection. When I first started at AIS some of our customers would assume I was simply ‘the boss’s wife’ or the receptionist. Some of our staff, even my husband to some degree, doubted my capabilities and vision for the company. Many found it hard to believe that an immigrant could successfully swap a career in the ‘arts’ for ‘smarts’ and lead our company from the 3-staff operation it was to the 50+ staff multi-million-dollar success story it is today. As a female CEO, I want to help other women succeed. I network and collaborate with women, champion gender equality, speak at events, mentor others and give back to my community through various board and not-for-profit roles. In 2016 I raised over $23,000 for Women’s Legal Service Queensland, as part of Dancing CEOs, to help women and their children escape domestic and family violence. I want to inspire other women to achieve their dreams. 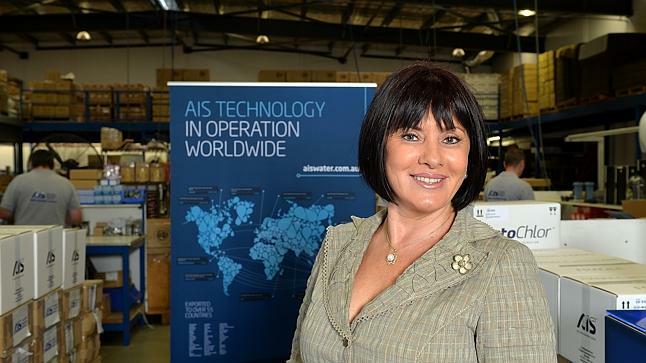 AIS CEO shows support for fellow entrepreneurial business women. As a previous finalist in the Veuve Clicquot Business Woman Awards (along with Lorna-Jane Clarkson of Lorna Jane, Ronni Kahn of OzHarvest, Kris Lloyd of Woodside Cheese Wrights and Maryanne Shearer of T2) AIS CEO Elena Gosse will be supporting other entrepreneurial and innovative business woman at the Veuve Clicquot New Generation Awards in March 2017. The awards recognise the success and vision of up-and-coming, entrepreneurial business women between the ages of 25 – 35 years old. As a mentor to many business women and advocate of gender equality and multiculturalism, Elena said that she was looking forward to meeting the 2017 finalists and encouraging their further success. “I commend Veuve Clicquot for this great initiative, Elena said. Acknowledging and supporting the achievements of young business women is so important.